Lookout world! Here come the Dustbunnies. Those wacky dusty little brothers Fuzzy and Wuzzy from the hit TV series The Big Comfy Couch are back in FuzzyWuzzy Fun! Ready to play with kids on the tablet! Fuzzy and Wuzzy love games and swinging on springs and all sorts of goofy boy stuff. And having fun with each other. They speak a language all their own called Dustbunnyese. But they are always easy to understand. 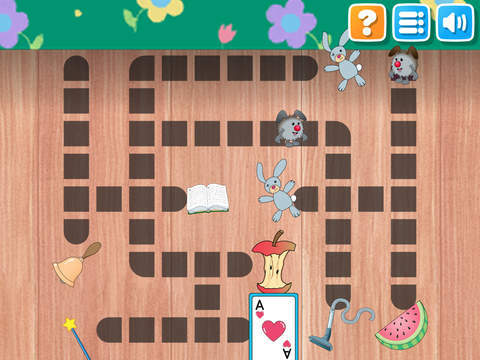 Kids use their finger to guide one Dustbunny through a maze to find his brother. 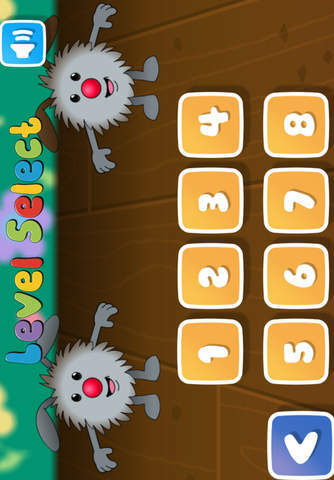 The mazes are different every time, so even your fave ‘smartypants’ OR ‘the brightest button’ won’t get bored, and when kids see how happy Fuzzy and Wuzzy are to find each other, they will want to play again and again! Easiest enough for toddlers, but funny enough for everyone! The creators of the beloved preschool television series “The Big Comfy Couch” are thrilled to announce our new set of apps and games guaranteed to make children smile in delight. 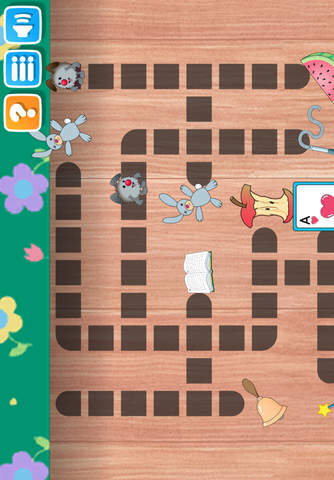 Make sure you try all of the apps from The Big Comfy Couch! Get ready to clown around! All over and UNDER the Big Comfy Couch. Developer: Sticky Brain Studios Inc.